Deputy NYPD Commissioner says investigators believe one man is behind bomb threats against Jewish institutions. 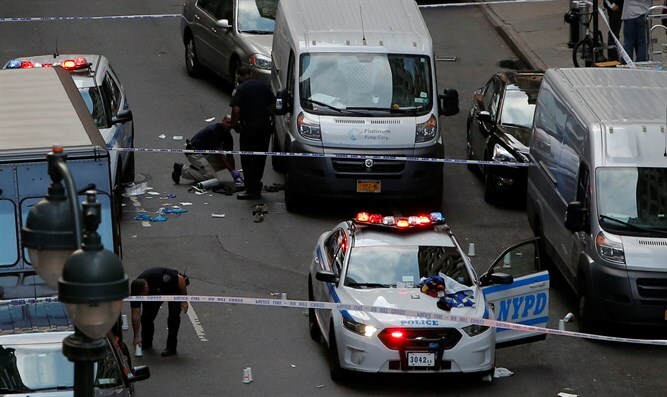 John Miller, the Deputy Commissioner of Intelligence & Counter-terrorism of the New York Police Department, said on Thursday that investigators believe one man using a voice changer and phone spoofing device is behind a large number of the bomb threats made against Jewish institutions. Miller described the attacks as coordinated. The spoofing device makes it appear the call is not coming from the number the man is using, and makes it appear it's coming from within the institution, he said, according to NBC News. "We have an offender with some technical prowess here," Miller added. Miller said on Thursday the NYPD is working with federal officials who are the lead investigators on the case. He added that he is working with institutions in New York to help them manage responses to the threats. "Most of the time, the person who's legitimately trying to do harm doesn't call ahead to diminish the amount of harm he or she is doing," he added.